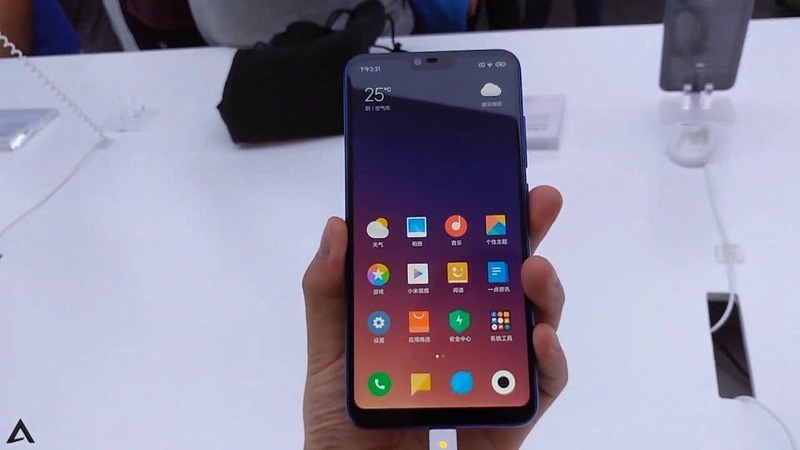 Today, Xiaomi co-founder, Wang Chuan, said that another Xiaomi phone will soon receive the super night scene mode update and this time, it is the Xiaomi Mi 8 Lite which was released a couple of months ago. 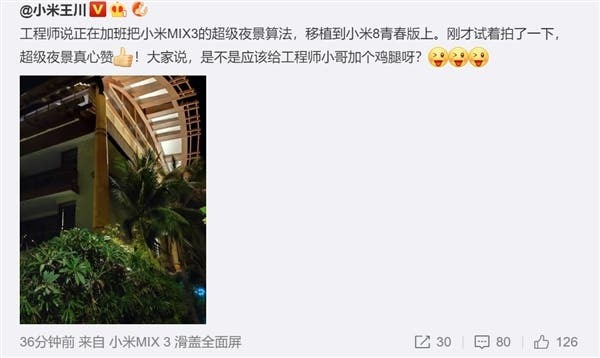 He also said that the feature is currently under development and it is going to use the same algorithm as the Xiaomi Mi MIX 3. The Super Night Scene actually has a slightly varying meaning for different manufacturers. 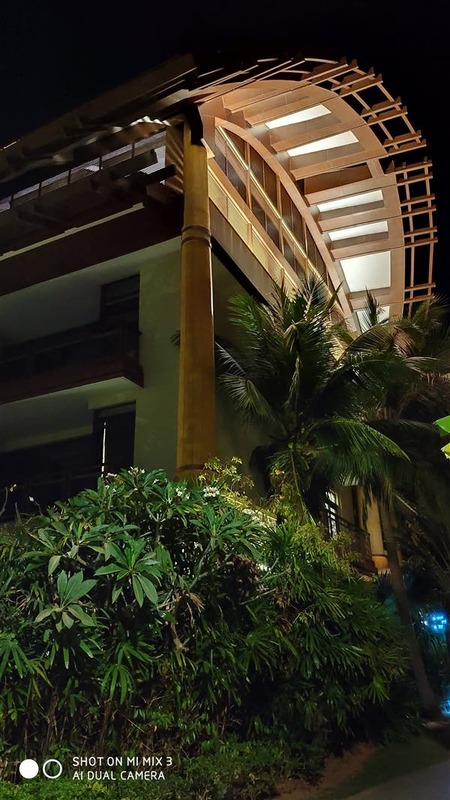 For Xiaomi, the super night scene mode is such that when the camera shutter is pressed, the camera will simultaneously take 8 photos with different exposure schemes and select key features for comparison. The final image is a combination of the best parts of the eight photographs. This whole process takes place in a split second. Presently, a couple of Xiaomi smartphone already use this feature. The Xiaomi Mi 8 series (except Mi 8 Lite and Mi 8 SE), Mi MIX 3, Mi MIX 2S, and Redmi Note 7 all support this feature. At the end of February, Xiaomi Mi 8 SE will also receive the update. The Xiaomi Mi 8 Lite comes with a 6.26-inch IPS LCD notched display with a display resolution of 1080 X 2280. It is powered by a Qualcomm Snapdragon 660 AIE processor coupled with 4GB/6GB of RAM and 128GB of internal storage. It has a 24MP Sony IMX576 front camera coupled with 12MP (Sony IMX363) + 5MP (Samsung) dual rear cameras. It is also equipped with a 3350 mAh battery and a USB-C interface.